You may use these videos, posters, flyers, postcards, logos and banners. Use them for your activities as part of the #iamhumanityatwork and #ResponsibleEmployeeActivism movement. 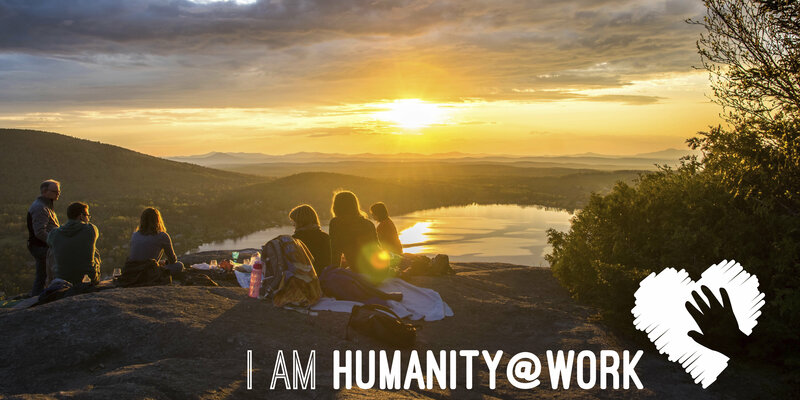 Please help yourself to the material to self-print your own #iamhumanityatwork posters, flyers, and postcards. Download poster, print it an display it around your office or in public places. Wait and see what happens. Feeling adventurous? Invite for a chat during a place and time of your choosing. Nothing beats human interaction. You can find high-resolution jpeg and pdf versions by clicking on the pictures below and choosing a link below the image in the carousel. Download flyer, print some and leave them at places where you think people will have time to pick them up when they wait for something – printer room, coffee corners and social areas are great places. If you want to stay covert, drop them in cantinas, public transports or doctors offices. Download postcard, have some printed an online print service and leave them at places where you think people will pick them up because of the colourful logo, free postcard stacks in bars and cafes, as well as public transports, are great places. 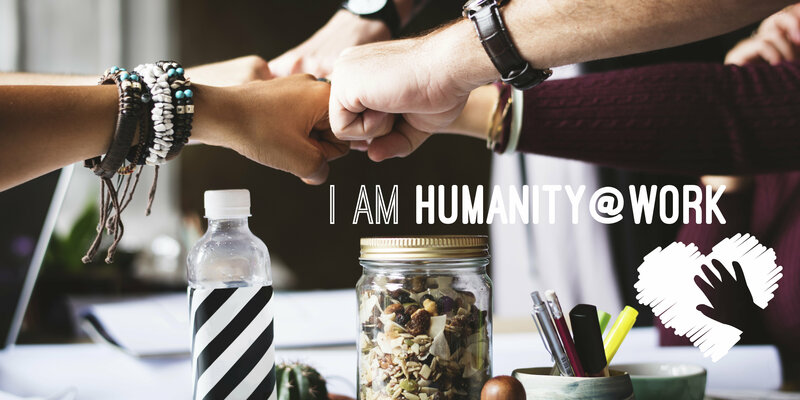 All logos and banners can be freely used – it would mean a lot to us if you would mention iamhumanityatwork.org or #iamhumanityatwork.